The fastest growing group in the world of internet dating is mature daters, and just because you are 60+, it does not mean you can't find friendship, romance or even love online! Sixties Connect allows you to access over 2 million members to find your ideal match. Broad or more niche search terms, excellent extras such as a dating diary tool, as well as both inbox and instant chat make this a great place to start your online dating journey. Even if you have limited technical skills, it takes a matter of minutes to sign up and begin browsing on Sixties Connect. Make sure you have a valid email address you can access easily, as this is where you will receive notifications about new messages and activity. Once you have answered a few simple questions, you will be able to start building your profile. This is done in 5 easy steps, adding a photo, answering some open ended questions, describing yourself, and choosing what information to disclose about yourself and then your interests. Later you can even add a video element to your profile to really help you stand out from the crowd. The website itself is simple to use, and by scrolling through the tabs on the top of the home page, you will be able to see all the functionality the site allows for. Take some time to familiarise yourself with everything on offer before you start browsing. Once you feel confident using the website, head to the search tab to start looking for singles. You can easily browse results via an age range and your location. If you want to narrow down the search further, use the filters button to choose from a range of interests, hobbies, and physical attributes. All too complicated? Try the ‘recommended’ option and the ‘Encounters’ tab which allows you to browse through suggested matches based on your profile information. Once you are ready to reach out, you can send an inbox message, or go straight to instant chat. Bolt on extras allow you to receive read receipts, or even allow people without a full subscription to reply and contact you. At the bottom of each page you will find a dedicated safety tips page which gives in-depth information on how to keep yourself safe both on and offline. Some examples for protecting yourself online are not disclosing any personal or financial information too soon, and always reporting anything suspicious to the Online Dating Protector staff, contactable via live chat from the website. Once you move offline, Sixties Connect advises you to always take your own transport, and tell a friend where you are going to be. Simple and transparent pricing is the name of the game at Sixties Connect. The longer you sign up for, the cheaper the outlay. One month’s membership will cost you £29.95, but it quickly drops to £19.99 per month for three months. Six months is the most popular option, and is a reasonable £15.00/month, and your most competitive option is £12.50 per month for a whole year. Still not sure? Try the 3-day trial for only £4.99. With mature dating the fastest growth area in online dating, you can’t get much easier and feature-rich than Sixties Connect. 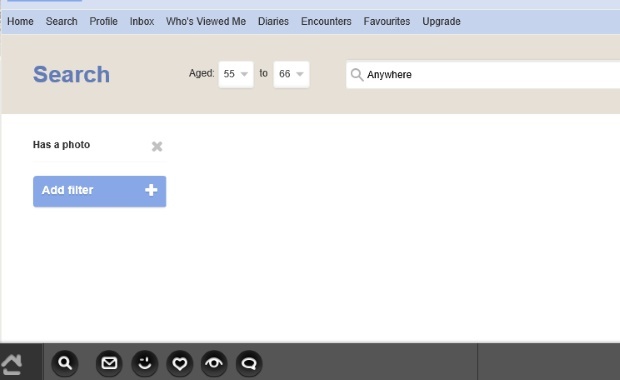 Use inbox messaging and live chat, build a dating diary, an in-depth profile and much more.